YouTube has announced that it is renewing “Cobra Kai,” which was released on YouTube Red on May 2, for a second season. The series, a highly anticipated follow-up to the 1984 hit movie “The Karate Kid,” reunites Ralph Macchio as Daniel LaRusso and William Zabka as his arch-rival, Johnny Lawrence. The film won critical acclaim for its portrayal of the friendship of high schooler Daniel and his apartment maintenance man turned martial arts trainer Mr. Miyagi (Pat Morita), as Daniel prepares to take on Johnny in the All Valley Karate Tournament. Through Miyagi’s teaching, Daniel learns important life lessons, overcomes adversity and ultimately faces his opponent in an epic match. An instant commercial success, the film earned an Academy Award nomination for Morita and spawned a franchise of memorabilia, three sequels, an animated television series, and a 2010 remake featuring Jaden Smith and Jackie Chan. Despite his success, Daniel is still deeply affected by the death of Miyagi years earlier and misses his guidance. In real life, Morita passed away in 2005 and Macchio gave the eulogy at his service. Morita’s last appearance as Miyagi was in “The Next Karate Kid” (1994), which co-starred Hilary Swank instead of Macchio. The cast of “Cobra Kai” also includes Courtney Henggeler as Amanda, Daniel’s wife; Mary Mouser as Samantha, Daniel’s daughter; Xolo Maridueña as Miguel Diaz, one of Johnny’s students; and Tanner Buchanan as Robby Keene, Johnny’s estranged son. Martin Kove makes a return appearance as Kreese, Johnny’s former sensei. 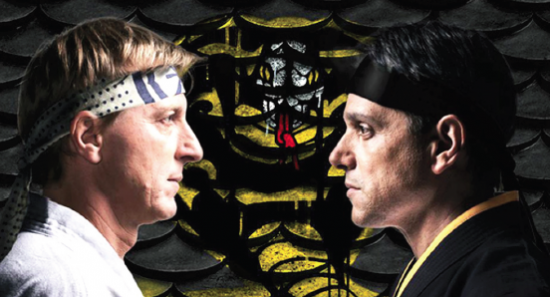 According to YouTube, ‘Cobra Kai’ has already garnered over 20 million views for the streaming platform, and its new season will again be written and executive-produced by Josh Heald, Jon Hurwitz, and Hayden Schlossberg. Heald is the writer behind the cult classic “Hot Tub Time Machine” franchise, while Hurwitz and Schlossberg created the successful “Harold and Kumar” film series, and wrote and directed the global hit “American Reunion.” Most recently, Hurwitz and Schlossberg produced the critically lauded film “Blockers” for Universal Pictures.